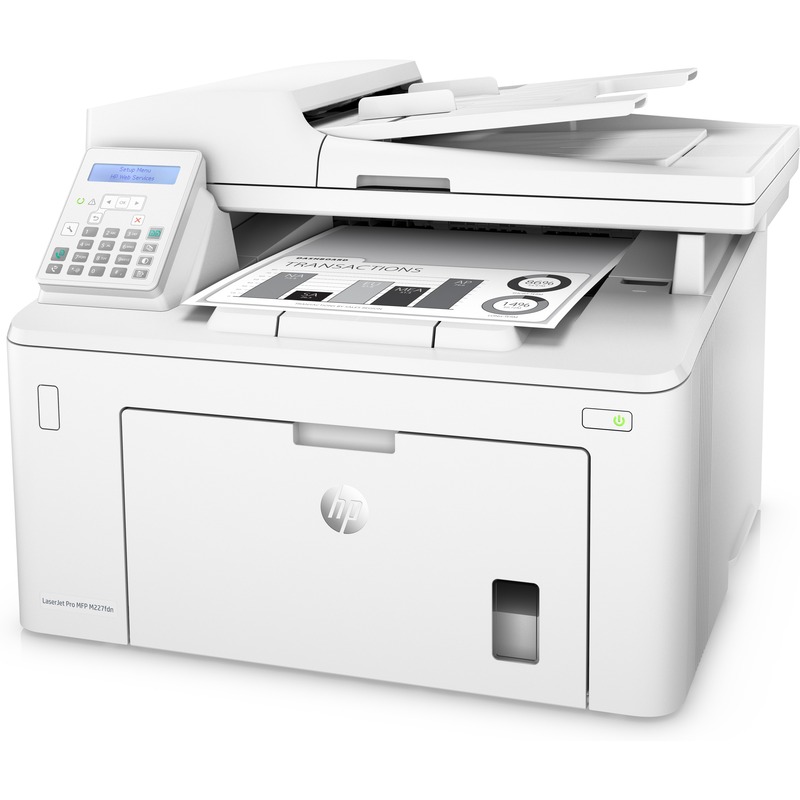 Print, scan, copy and fax with a compact multifunction laser printer that fits into tight workspaces. 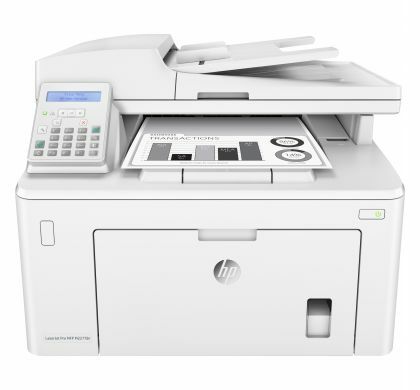 LaserJet Pro MFP M227fdn Printer sets a faster pace for your business. 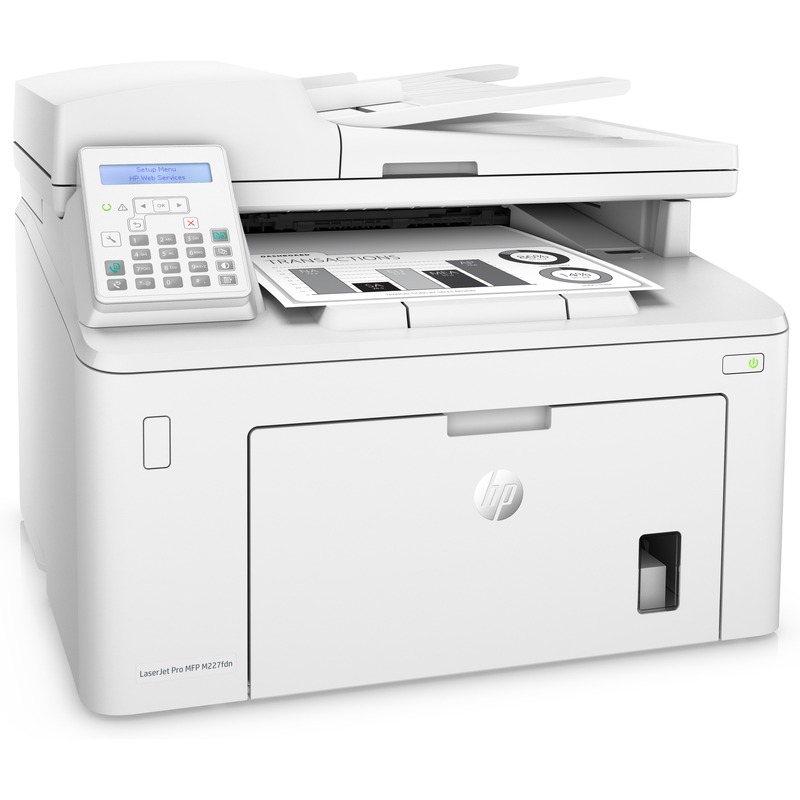 It prints two-sided documents, scans, copies, faxes and manage to help maximize efficiency. 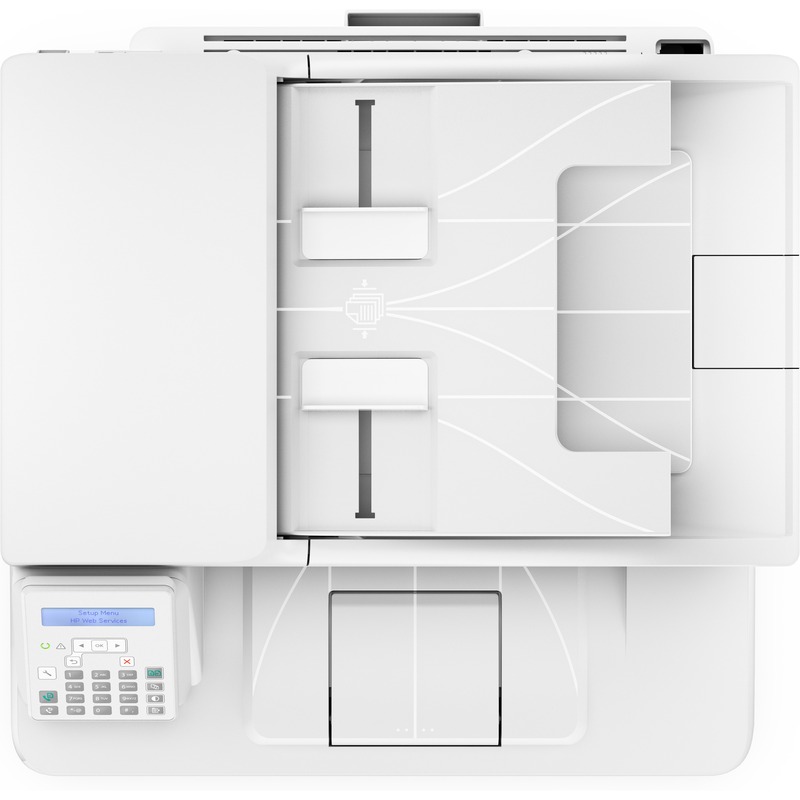 It produces 30 black/white pages per minute with the first page out in 6.4 seconds. 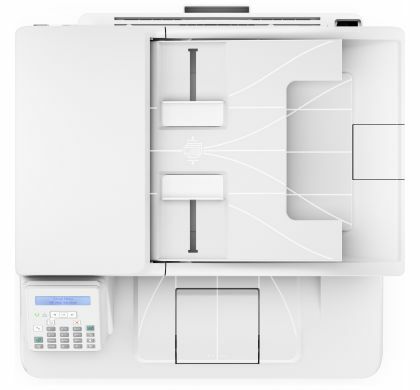 Scan up to legal-size documents in the automatic document feeder. 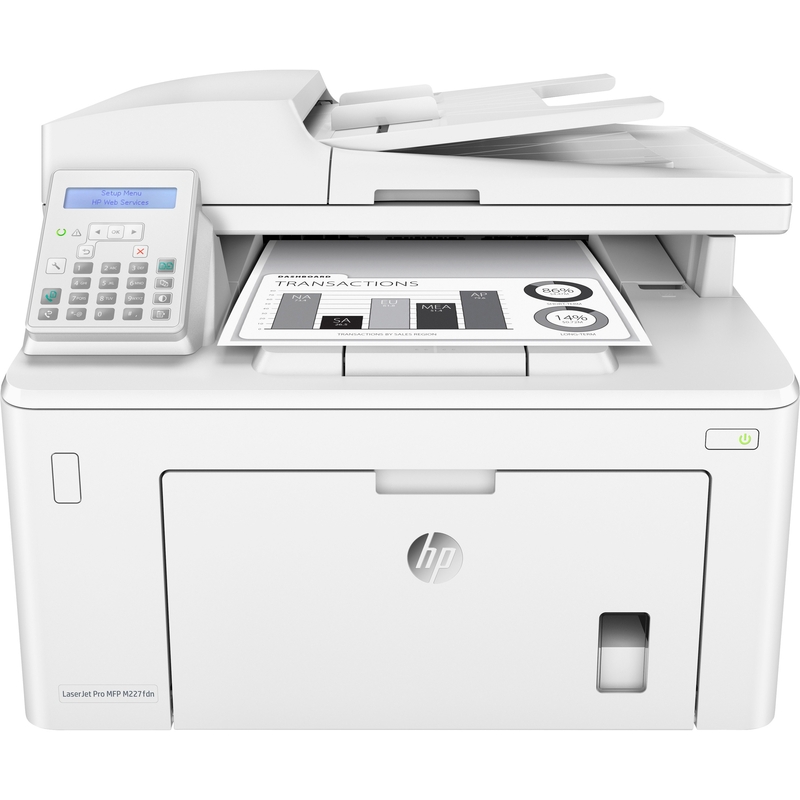 The two-line LCD is simple to read and operate so you can easily manage tasks directly at the printer. 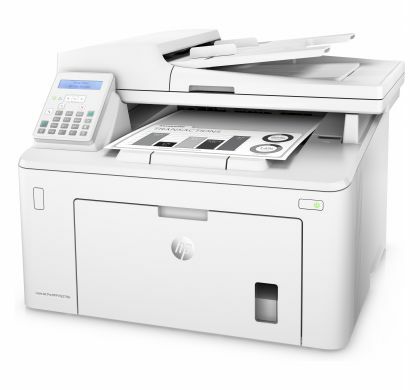 Print from iPhone and iPad with AirPrint, which automatically scales jobs to the correct paper size. 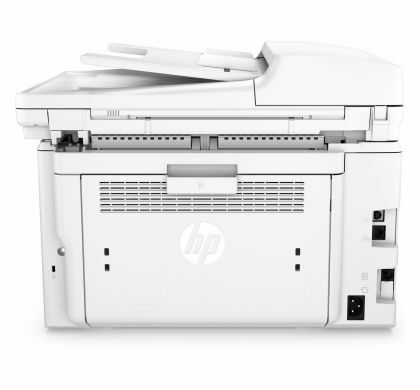 Send jobs from your smartphone, tablet, or PC to any company printer, using Google Cloud Print 2.0. 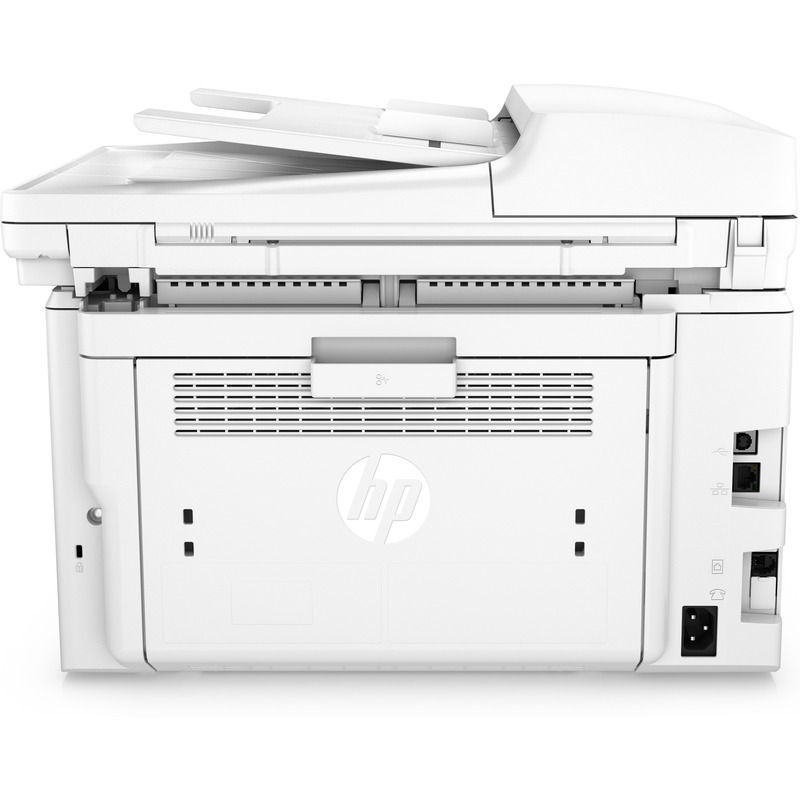 HP ePrint lets you print with the ease of sending an email, right from a smartphone, tablet or notebook. 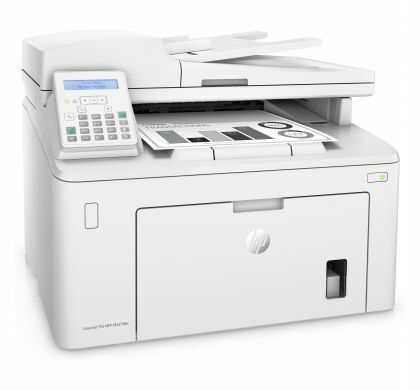 Printer also features an 8-1/2" x 11-7/10" flatbed scanner, 800 MHz processor speed, 256MB memory, 250-sheet input tray and 10-sheet priority tray.